A Guardianship is a legal proceeding in which the court will determine if a person can no longer make safe decisions about their personal welfare or finances. A Guardianship can provide critical protection for a person who may be at risk from financial exploitation or who may be a danger to themselves. A person interested in becoming a guardian must petition the court with detailed facts of a persons incapacity and need of assistance. With over thirty years of experience, Ira K. Miller & Associates can help you with the complex process of petitioning the court, complying with court orders, seeking temporary relief, and representing you in a guardianship proceeding. There are two types of Guardians, Guardians of the Person and Guardians of the Property. A person appointed as Guardian of the Person is given legal authority to make decisions for health care and end of life decisions. A person appointed as Guardian of the Property makes financial decisions and controls the finances of the incapacitated person. A person may be appointed as both the Guardian of the Person and Guardian of the Property. What are the roles of a Guardian? If appointed Guardian of the Person, the guardian must provide the courts with yearly updates as to the health and welfare of the incapacitated person. If appointed as Guardian of the Property, the guardian must provide annual accountings to the court and provide detailed records of the incapacitated person’s finances. Ira K. Miller & Associates can help the guardian create annual accountings and comply with the requirements of the court. Loved ones do not always agree on who should act as guardian for the alleged incapacitated person. This contention can sometimes result in litigation. Our firm has handled numerous litigations when the elderly have been financially abused. We have seen homecare workers and family members take advantage of the Elderly at their most vulnerable hours. We will work with you to protect the elderly and right the wrongs that have been committed. 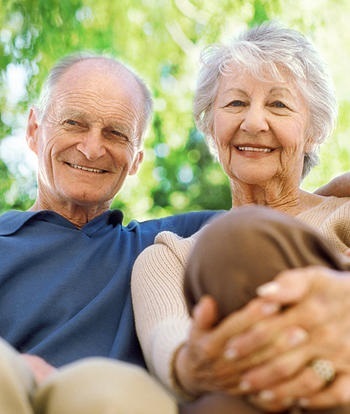 We are passionate about protecting the elderly and can help you through guardianship litigation. The Guardianship proceeding can be a daunting and difficult process. Let Ira K. Miller & Associates assist you with any Guardianship proceeding.